A report by the frontline humanitarian organisation Free Burma Rangers has said that the war in Kachin and Shan States is escalating. The FBR said in its report that the Burma Army has called in support to support its offensives against the ethnic armed forces. The conflict began in June 2011 when the Burma Army attacked Kachin Independence Army (KIA) forces, breaking a 17-year long ceasefire. The war has since involved other ethnic armed groups including Ta’ang National Liberation Army (TNLA) forces, Shan State Army-North (SSA-N) forces, as well as the KIA and smaller factions including the Arakan Army (AA) and Myanmar National Democratic Alliance Army (MNDAA). The FBR report said that recent Burma Army offensives had seen the use of 81mm shells and at least two reported aircraft attacks. “Clashes and infantry assaults backed by mortar attacks are now a daily occurrence, and civilians are frequently caught in the crossfire. 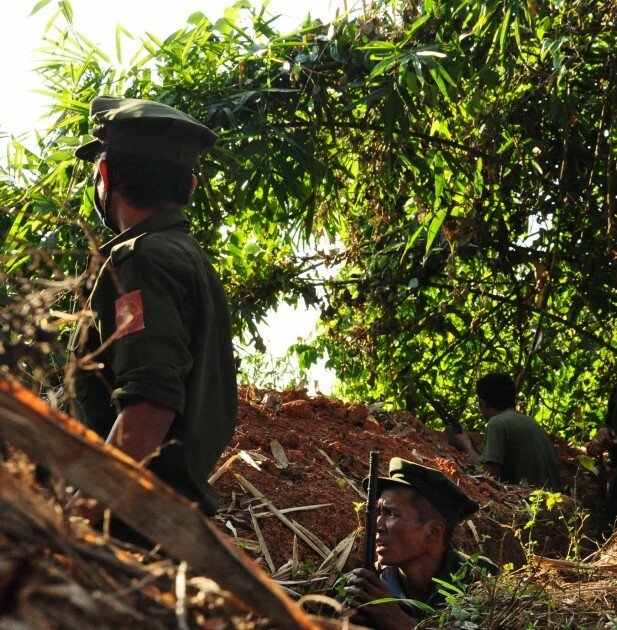 Burma Army soldiers backed by local militias, tanks, and aircraft have continued to strike areas heavily populated by civilians in an attempt to root out ethnic forces.” The FBR report said. In total the FBR report counted the following g incidents throughout July and August: 32 armed clashes, 43 artillery strikes. These clashes, according to FBR, have internally displaced more than 2,000 civilians. “Lack of transparency and accountability also remains an issue and has led to fourteen separate human rights abuses instances, including nine that related to arrests, torture, and shootings.” FBR said, adding, “Kachin, Shan and Ta’ang Free Burma Ranger teams have also noted an increase in extortion cases and property destruction by Burma Army soldiers…” FBR added in their report.